Kavina (left) is a fifty-year-old grandmother who works as a maid. She came to Kenya as a refugee from Uganda; her entire family was killed during the Idi Amin regime. Florence, also a maid, is forty-seven years old and comes from Kakamega. She is planning to get married in church so that her daughter may be allowed to have a religious marriage. Her husband works in a hotel in Nairobi. 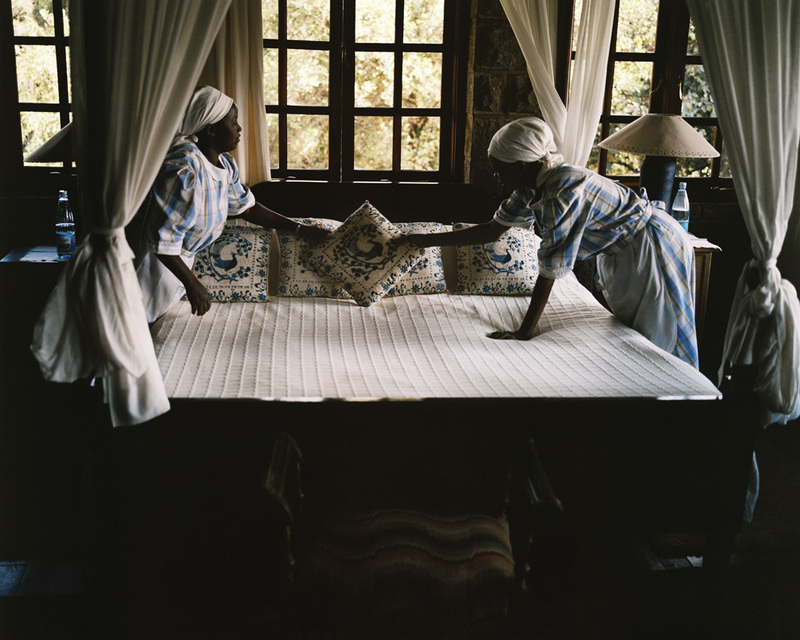 The maids prepare a room for a guest coming to spend the weekend. 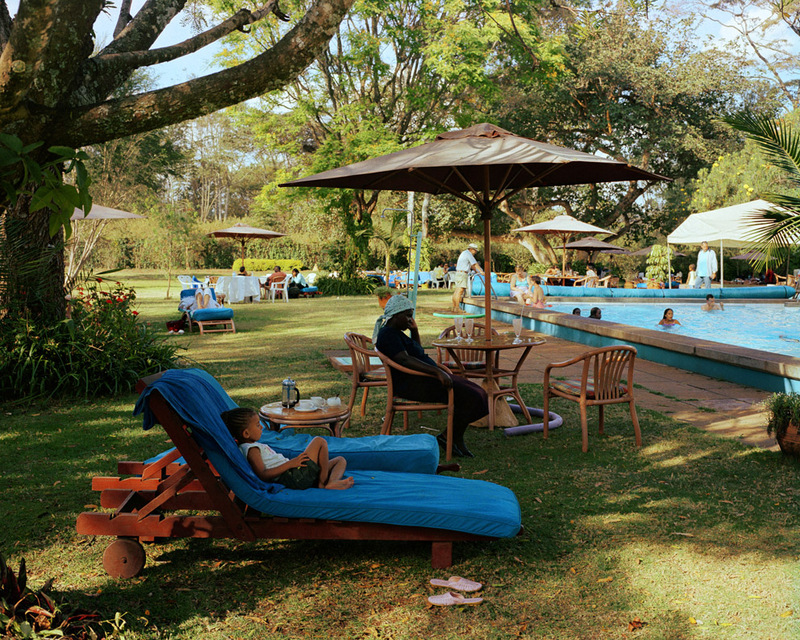 A nanny by the pool of the Muthaiga Club, situated in a residential area of Nairobi, while her young charge relaxes on a sun bed. 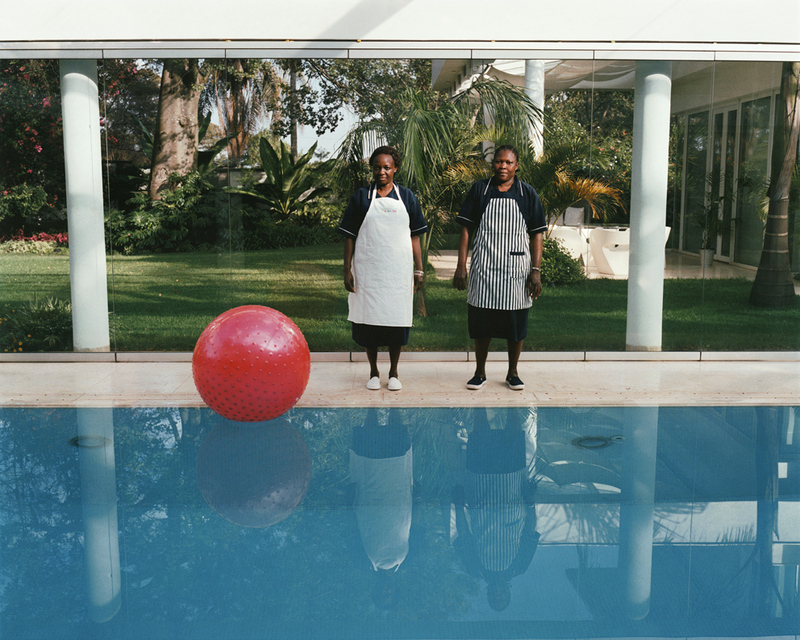 Guillame Boon has produced a remarkable series of photos about the lives of domestic workers titled Silent Lives for which he was nominated for the Piclet Prize in 2012. Jon Lee Anderson of The New Yorker writes, ” Kenya, in other words, is no longer the place of Karen Blixen’s nostalgically remembered, illusory Eden, where everyone except the whites knew their place….and yet, as Bonn reveals, some of the old social heriarchies persist in some of the country’s most privileged households”.